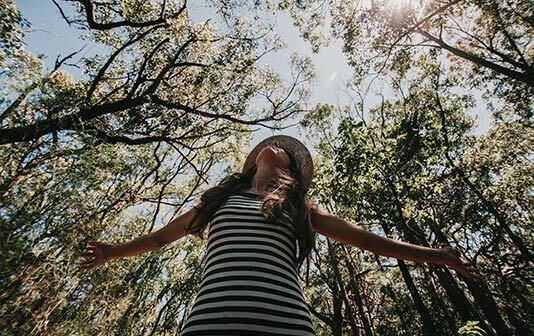 In Alquézar and its surroundings have countless mountain trails, very well identified and cared for, that would allow you to know a good part of the Sierra de Guara. There are routes for all levels and without a doubt the most popular is the Route of the Footbridges, which descends through the spectacular Baroque of the Source (barroco de la Fuente) to the bed of the Vero River. Where have enabled some catwalks to see the ravine in all its splendor and make it has become one of the main tourist attractions of Alquézar. But from Alquézar you can make another series of excursions, no less spectacular, such as the Asque Route (Ruta de Asque), where you can see the Romanesque bridges of Villacantal or Fuentebaños, the Basacol and San Pelegrin Bases route, the exclusion of the old wells of snow … or the excursions to the numerous caves of rock art. Of all these and many more you will find information at the Alquézar Tourist Office, however, here you will find more detailed information and you can download some interesting tracks. 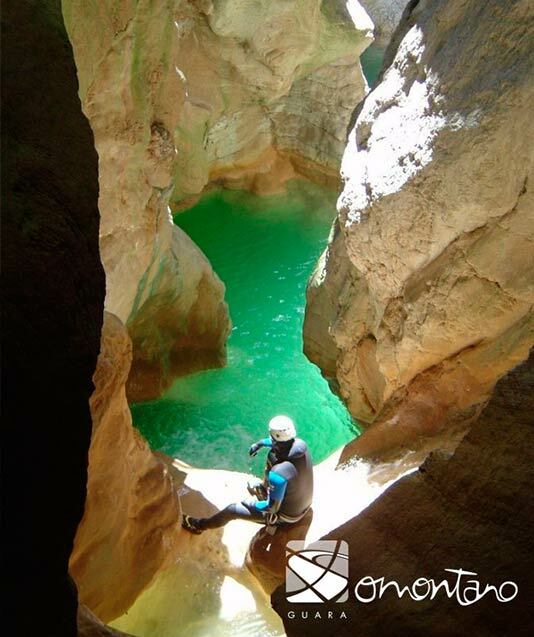 thanks to its geology, the Sierra de Guara is a perfect place for the practice of canyoning and climbing. 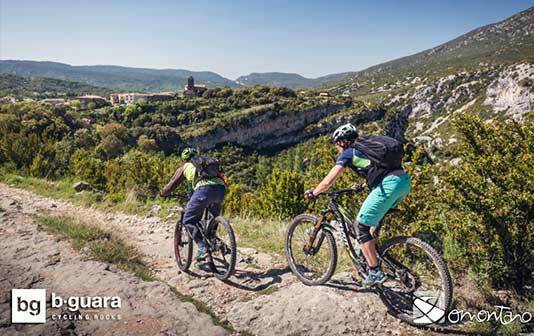 Offering the possibility of making some of the best descents of canyons and ravines in Europe. professionals and fans of this sport. 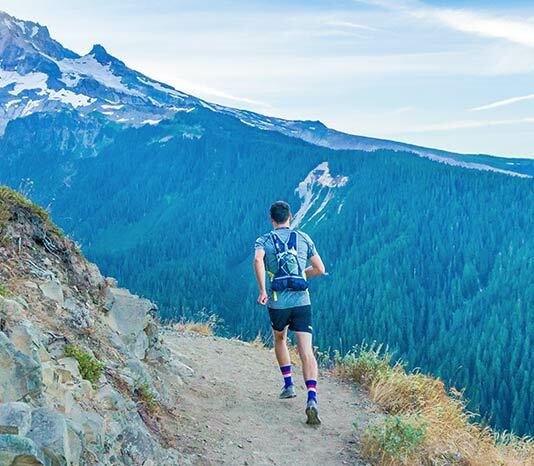 Sport climbing is a highly valued activity in this area. There are routes for all levels, from initiation to 9th grade roads that attract the most important climbers from all over the world. The trails of the Sierra de Guara and the Somontano are an incomparable place where you can practice trail running or btt in its many variables (trail, descent, enduro …). gotten many of the lovers of this sport to come here to train in their spectacular tours. Without a doubt, its celebration has become one of the most important days of the year in our town. Its trails are also part of the Pre-Pyrenees trail, which runs through the Aragonese pre-Pyrenees. 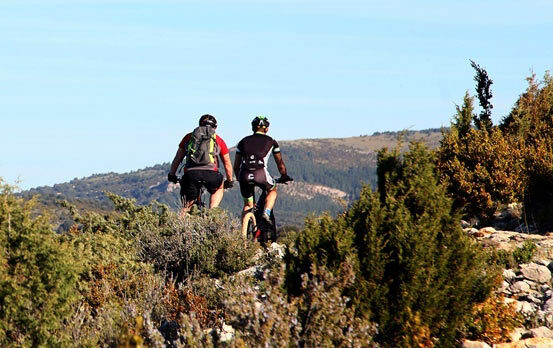 Since as we say all the Sierra de Guara is marked with innumerable roads, which allows you to enjoy both the trail run and the btt. will bring you closer to dream landscapes. and Regacens in a self-guided way. of the European Route “Roads of Prehistoric Rock Art”. will descend through the spectacular Baroque of Chimiachas, besides enjoying magnificent views of the Vero river canyon, the Pyrenees and the Somontanos. To finally see the famous deer of Chimiachas. In the nearby town of Colungo is the interpretation center where you can get more information about rock art and where children can get closer and know what life was like thousands of years ago. personality that will surprise you. Since its creation 30 years ago, it has been tried to collect the millenary tradition of the wine culture in this area, but always giving it a young and dynamic character, marked by the modernity of its wines and differentiation. This has achieved the recognition of their wines by consumers and the most prestigious wine guides in Spain. You can enjoy wine tourism through guided tours to many of its wineries, from the most renowned Enate, Viñas del Vero, Montesierra, to more familiar ones such as the Alodia Winery, located in Adahuesca, just 7km from Alquézar. The National Park of the Sierra de Guarra hosts a wide variety of birds, which makes it an extraordinary place for lovers of Ornithology. The limestone walls of the Sierra de Guara are used by a large number of rock-dwelling birds to nest, for this reason in 1989 it was included in the network of Special Protection Areas for Birds (ZEPAS), recognizing itself as one of the Europe’s main rocky reserves. Of all the birds stands out the majestic Quebrantahuesos, since Guara is one of the few places in Europe where this species still lives. 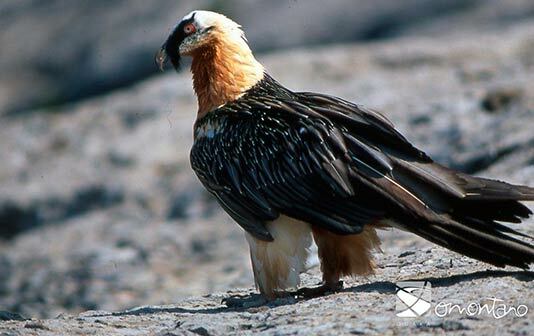 Also, we must mention the presence of eagles, Egyptian vultures, kites, treparriscos, and above all, one of the largest colonies of European Vulture.